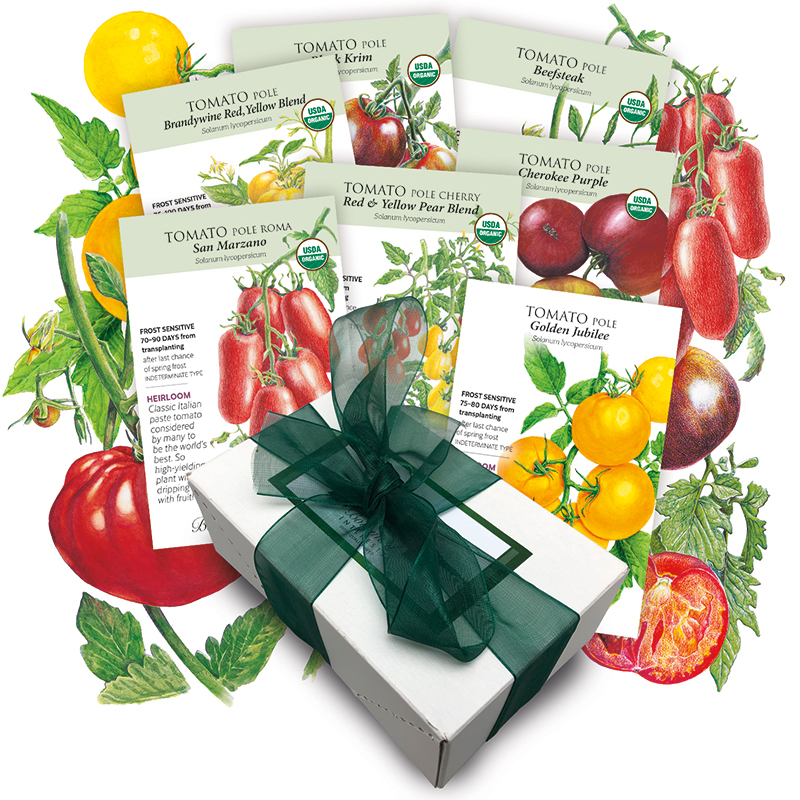 Brandywine is a favorite of tomato lovers for more than 100 years. Fruits average around a pound but can weigh close to 2 pounds. 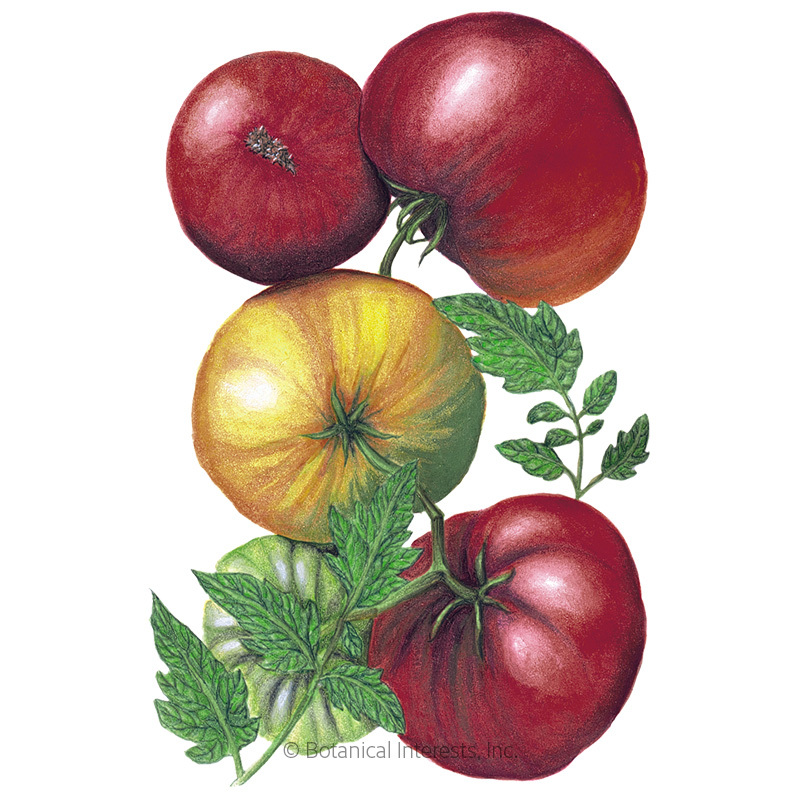 'Yellow Brandywine' turns golden yellow when ripe, with a balance of sweet and tart; and 'Red Brandywine' has a rich, well-balanced tomato flavor. 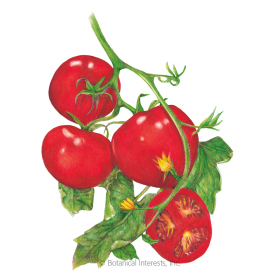 Red seeds are stained with organic coloring to indicate the red tomato, while the yellow tomato seed has no coloring. Provide support for vines that reach 6' or more. Variety Information: 10–30 ounces, often ribbed, flattened round fruits. 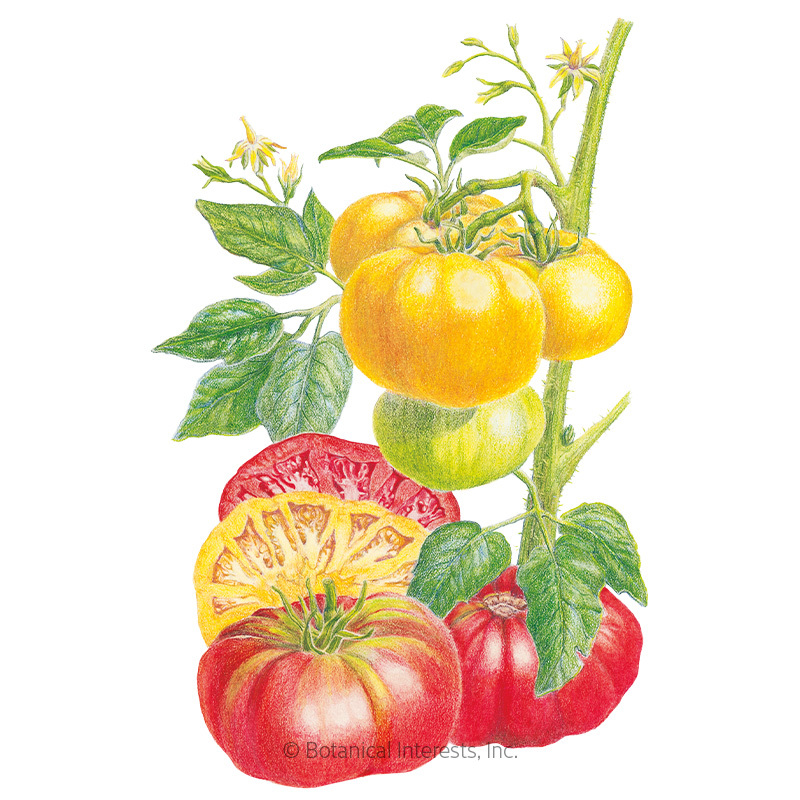 'Yellow Brandywine' ripens to golden yellow, and 'Red Brandywine' ripens to pinkish red. Harvesting: Brandywine Red & Yellow Blend tomatoes are at the peak of sun-ripened deliciousness when they are red and yellow, respectively, and have a slight give when gently squeezed. 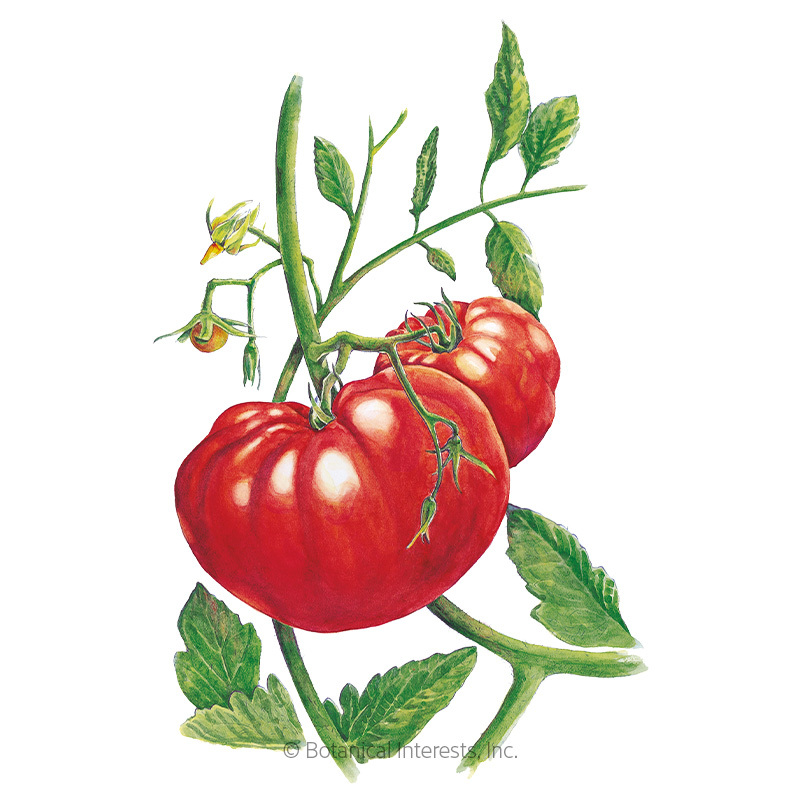 By far the best tasting fresh tomato! With just a drizzle of olive oil and sprinkle of salt this makes a five star dish! Easy to grow and loves hot summer days.